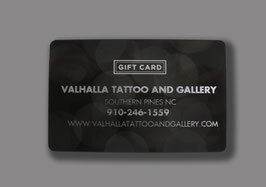 Gift Card - Valhalla Tattoo and Gallery "Southern Pines Premier Tattoo Location"
Want to give the gift that lasts a lifetime? 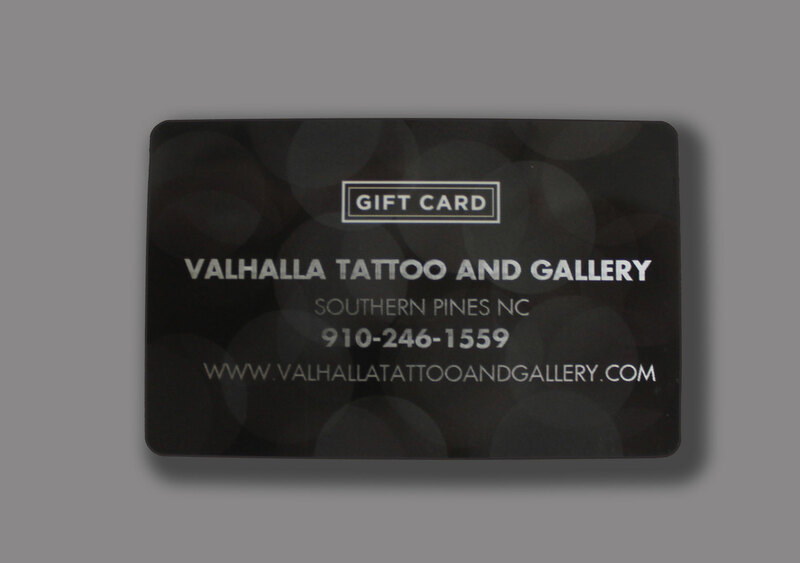 This gift card is good for anything in the store*, including tattoos and any retail item. 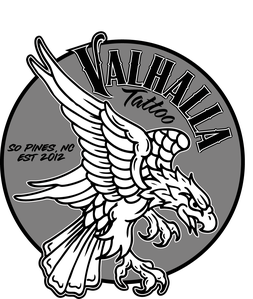 Available in $20 increments, just adjust the total in the cart. Please call if you have any questions. *cannot be used in “ONLINE STORE"